This letter is to all Isshinryu Karate-Ka and Martial Artists from Sensei Ed McGrath, Ju Dan, Hanshi Go. 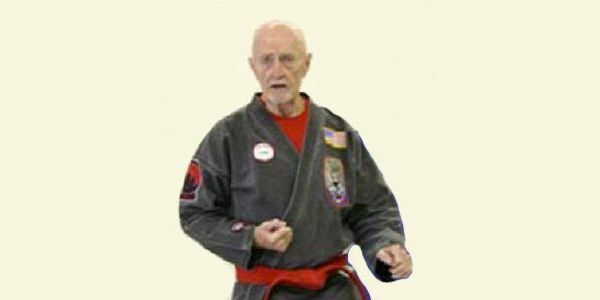 I am sure that you are all aware, that Grand Master Donald H. Nagle, after four and a half decades in karate, who was revered and recognized as a legend by the global martial arts community, passed away on August 23, 1999. At that moment the martial arts lost its finest teacher, who legendary fighting ability were based on pure instinct and his inherent skill. His students names fill the Halls of Fame, throughout the land. 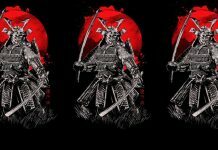 He had certainly earned the title of Grand Master, along with the admiration and love of thousands of sons, grandsons and great grandsons in his family within Isshinryu. Isshinryu literally means, “The One Heart Way” and while our hearts may be heavy with his loss, the Sensei wished for Isshinryu to solidify its unity and friendship, right to the end. With my teacher’s death, my role has suddenly changed and become more complex. For those who know me, they will know that I am not a pretentious man and have never practiced or taught my Isshinryu as a profession, but simply to be on a deck and have someone to fight and teach, because to teach is to advance your own skills, as well as the students. This was the way of my Sensei and became my road through his influence. 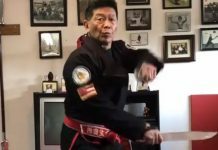 As a result, Grand Master Nagle felt great pride in the fact that my students, four over four decades, were always successful and were known then and now for their own right, Malachi Lee, Nick Adler, Bob Baker, Richie Bell, Barry Steinberg, Frank Klos, Frank Black and my Dai Ichi Dan Vena who I promoted to Ku Dan, Hanshi Go in November 2002. In the forty two years that I have taught and practiced Isshinryu karate, I have had but one Sensei, Grand Master Don Nagle and never saw the need to study with anyone else, for the depth of his knowledge was infinite. He was my teacher, my confidant and a lifelong friend, who trusted me and trusted my judgment in many situations. From the moment we met in the Marine Corps and his first dojo in North Carolina in 1958, we were buddies and karate-ka together, until his death. It was therefore with great humility and pride that I learned that moments before his death, Mr. Nagle told those at his bedside, that it was his last wish that I should take his place, as the head of his American Okinawan Karate Association. While this has never been my goal, I will do his bidding, since I never disobeyed his wishes in the past and will now do everything possible to strengthen the bonds of Isshinryu in the future. No one can ever replace Sensei Nagle, but I will do my best to further his work. I have no intention or desire to circumvent the authority of other Isshinryu Sensei’s, within their schools or organizations. My goal is simply to strengthen Isshinryu through inter-group cooperation and the exchange of ideas and skill sets. I intend to form a platform which will make that interchange possible. Many of the Sensei’s have been teaching and organizing for three decades or more and have taken the path that their karate indicated. However, unity in our heart and minds, as well as sharing and interest in each other’s activities, without losing autonomy over your organization, would be definitely beneficial. For twenty five years tournaments were an excellent method to increase a dojo or organizations revenue, thereby strengthening the stability of the individual enterprise. However, is killing the goose that laid the golden eggs and we see attendance at these events dropping precipitously. It can only get worse, since even now the tournaments are principally attended by the students and parents of the host organization. At a time when karate has gained the interest and respect of the country, tournaments either lose money or break even. With unity and interaction these could again become two day affairs, comprising the tournament with several demonstrations to enhance crowd interest and a second day for seminars by the Sensei’s on their individual strengths, as well as a special promotional phase for black belts. Why should we always import someone from California or the Orient for our seminars, rather than reach within Isshinryu for an experienced teacher, unless outsiders have a skill beyond our knowledge. This would reduce our costs on high travel bills and fees. This is not to say that our own people should not be granted their fee if asked to perform, it would simply be less costly. Additionally, for the instructors, we might supply on business practices, marketing, advertising, as well as, other related topics to improve the strength of their dojo’s. These classes could be supplied by special guests from nearby business colleges. 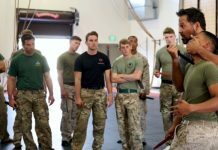 Some of these ideas have been suggested by Sensei’s, over the past ten days. I would hope to gain some excellent ideas from all of Isshinryu’s teachers. What can we lose? Perhaps some of the animosity that separates us now. Perhaps the on-going pressure from the united Tae-Kwon-Do federation. Or should we simply stand-by while they implement legislation, that would place them in a position to oversee Isshinryu’s obedience to the rules? They have already advocated this legislation in many states. If that scenario seems ridiculous, then you are not aware of the power of a cohesive group. Instead, think of the power of Isshinryu unity or the extraordinary feeling of pride in simply visiting another Isshinryu dojo, in another state or area and being welcomed wholeheartedly, as brethren in Isshinryu. We can make this come true immediately, by simply pledging friendship and a communal interest in Isshinryu, while exploring how we can be of help to each other, for the common good. I assure you that I do not live in a vacuum, nor a dream world. I have long been exposed to the savage politics in the global financial community and survived for thirty years. Therefore, I am well aware that some people, by their nature, are driven by their own particular perception of loyalty and morality. I am also aware that some Sensei’s are upset that they were not designated as the successor to my Master. Some feel they outrank me, but I would ask them to check exactly who signed their rank certificates. From the three brown belt cards and Sho-Dan papers that I fought for at Camp Lejeune in 1958, to my Ku-Dan papers, the only signature on my certificates of rank is that of my Sensei, Donald Nagle. 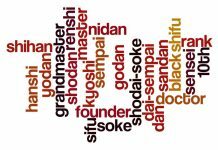 I have always taken pride in that and now, that trust and loyalty has led to my designation as Grand Master of Isshinryu. If anyone does not wish to help me, on serving them and Isshinryu, I am powerless to force their cooperation and will not attempt to do so. 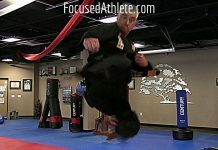 However, I feel that they will be allowing their personal goals, into forcing them to miss a chance to make Isshinryu karate the preeminent style in the Americas. Since the death of Sensei Nagle I have received a pledge of help in my goals, by many Masters and Sensei’s, throughout the North East. This fills me with pride in their selflessness and hope for our inevitable unity. The goals that I have outlined above are only a few of the things that I believe we can do together, in unity and friendship, for the betterment of Isshinryu and our relationships. I have no hidden agendas, nor pretensions to become the ultimate karate power. If I had wished to do so, I believe that I would have sought that goal prior to my 64th birthday. I simply want to be your tool to implement this fellowship and the gains for all, that will inure to us through the “One Heart Way”. Yours in Isshinryu and the eternal memory of Sensei Don Nagle, who fathered all of our aspirations and thus changed our lives forever. 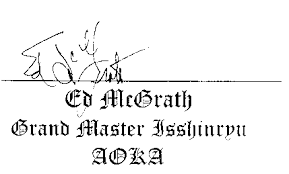 Ed McGrath, your compatriot in Isshinryu.